You may wish to send instructions to your client prior to your Telehealth call. the "Library" > "Education" tab. 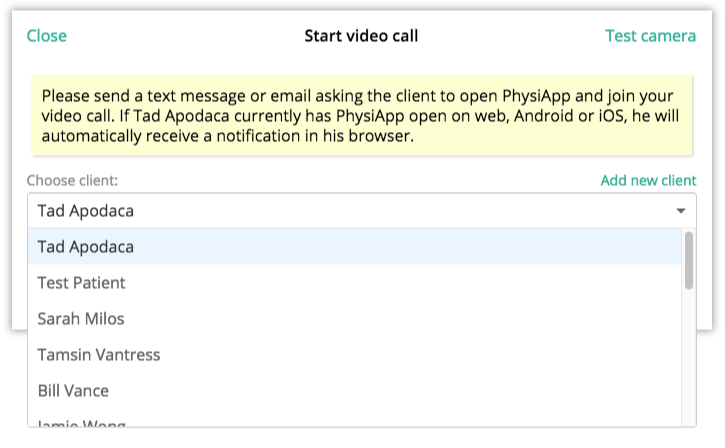 the "Connect" > "Call client" option (an email address must be provided in the Physitrack client file to use this option). Send these instructions as an education document as show in our help article here. Go to the "Call client" button to the top right corner. Find the client you would like to call (or "Add new client"). Ensure you provide an email address. If an email address is not provided you will need to go into the client Physitrack file and enter it in settings (here's how). Click "Send instructions" to open up the text box. View your pre-set message (created here) and edit text if needed. 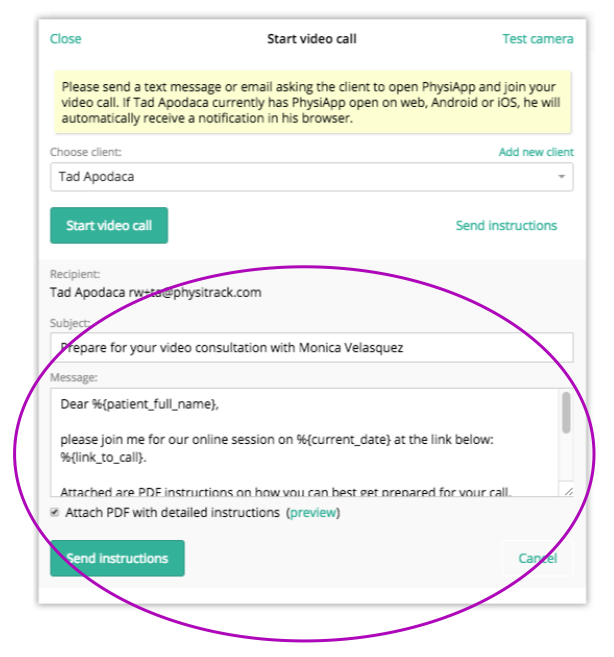 Select "attach PDF with detailed instructions" if you would like to include the Physitrack Telehealth instruction PDF (this option is switched on by default). 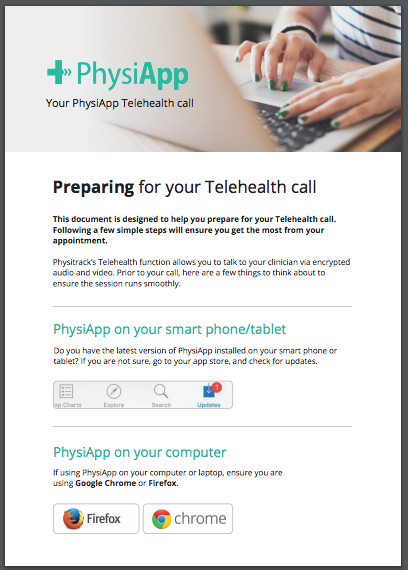 First page of PDF document "PhysiApp Telehealth call", also viewable in "Library" > "Education"